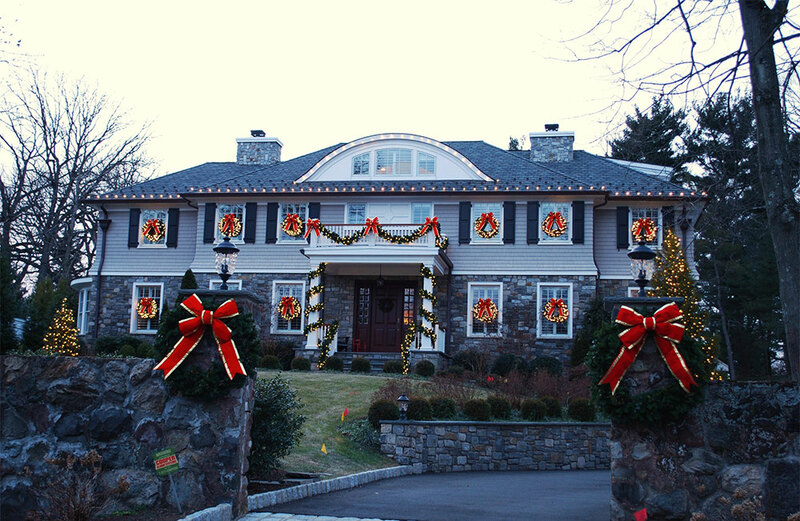 In 1998, the Johns family founded Christmas Décor of New Jersey. Since our first holiday season, we have been making dreams come true for hundreds of families and children. Our business is grounded in strong sustainable partnerships with our clients. We tailor each project to the client’s needs and budget, almost always creating one-of –a -kind displays. We offer both interior and exterior decorating services year round, and our marketing and sales teams seek to ensure you are satisfied with our work. 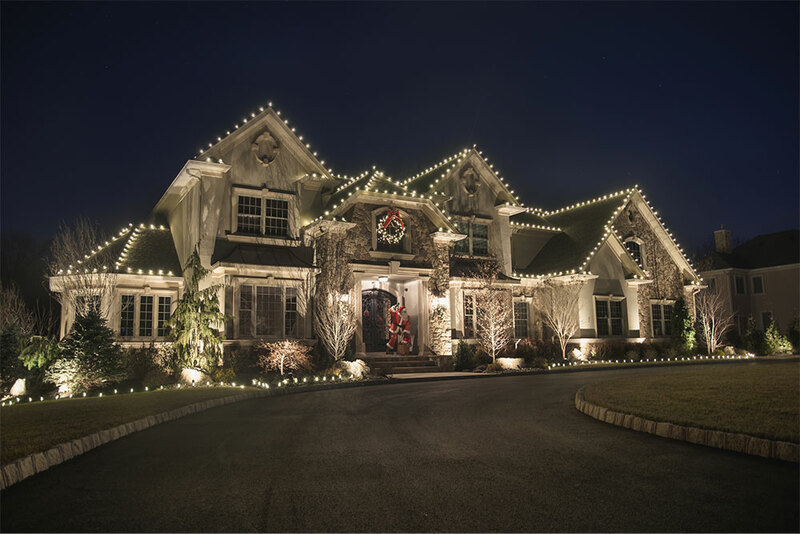 As leaders in our industry, Christmas Décor of New Jersey takes pride in our use of the highest quality and newest technology products and equipment and all projects follow the strictest safety standards. 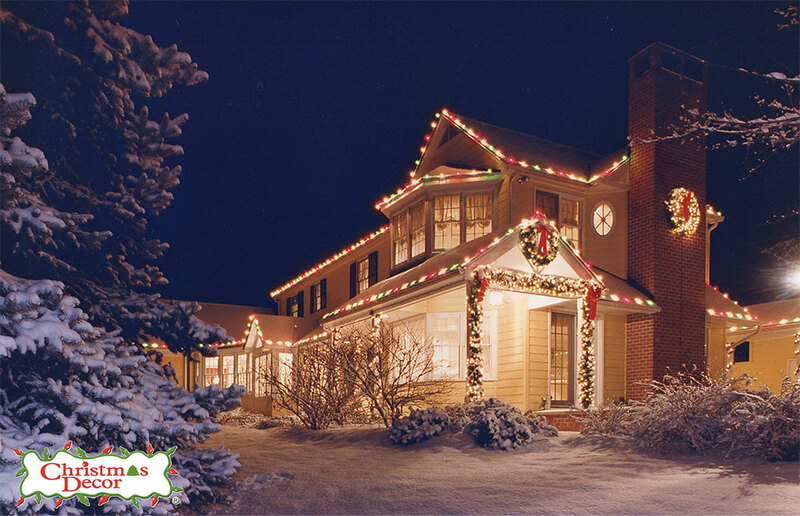 Garlands, wreaths, and bows around doorways, arches, and columns offer a festive daytime look. Miniature lights bring these decorations to life a night. 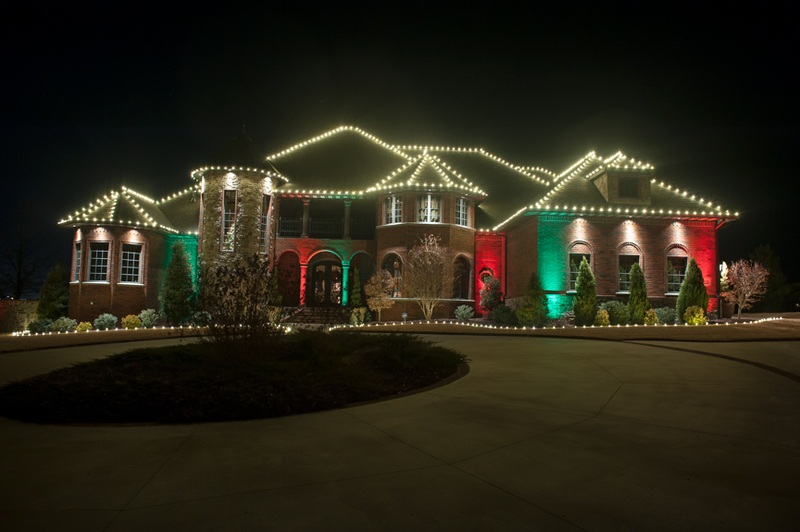 Stake lighting adds the lower spectrum to your lighting program by outlining walks, beds, and driveways. These lights illuminate pathways and glow beautifully through the snow. Adding large lit and life size forms is a fun way to make a statement to your entrance or display. We carry a large assortment of characters such as soldiers, nutcrackers, deer, angels, and other holiday figurines. 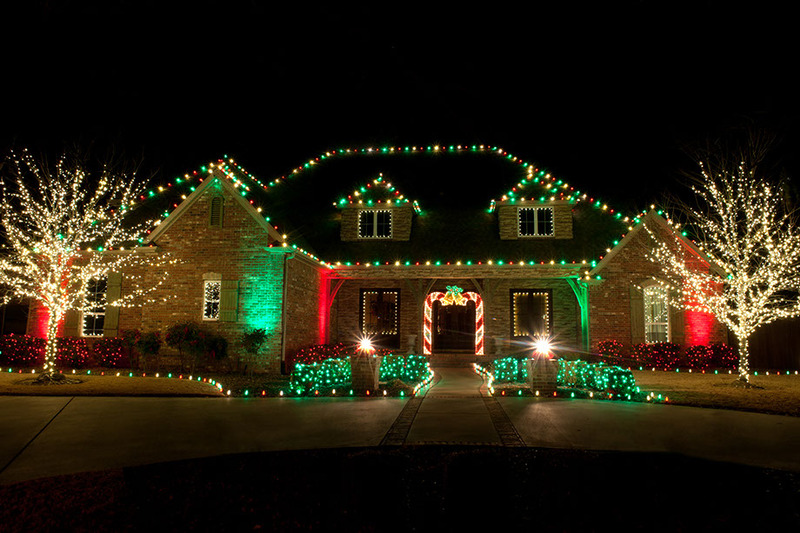 Roof Lighting provides a great foundation to the decorating theme. Fascia lighting creates sharp lines and angles. Ridge lighting emphasizes height and depth. Windows are lit with symmetrical perfection providing a touch of elegance. Window lighting highlights the central spectrum of the property and can be enjoyed from the inside as well as the outside. 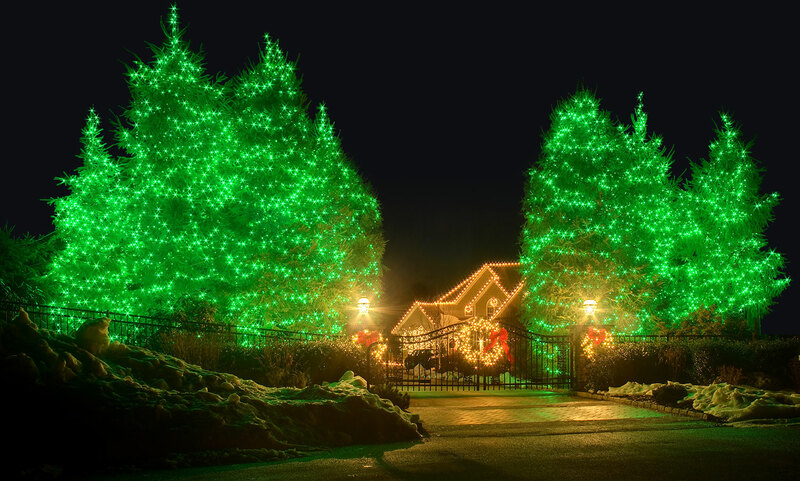 Tree lighting is the signature of our decorating. Spectacular results are achieved through trunk and branch wrapping and canopy lighting of larger specimens. Shrub lighting is economical and a great way to add color to the display. Want to create a display that changes throughout the season or even longer right from your phone. RGB is the way to go offering programmable color changing light strings that come in a variety of shapes and forms. Let our professional team of designers create a beautiful, warm and sparkling holiday environment for your home or business. 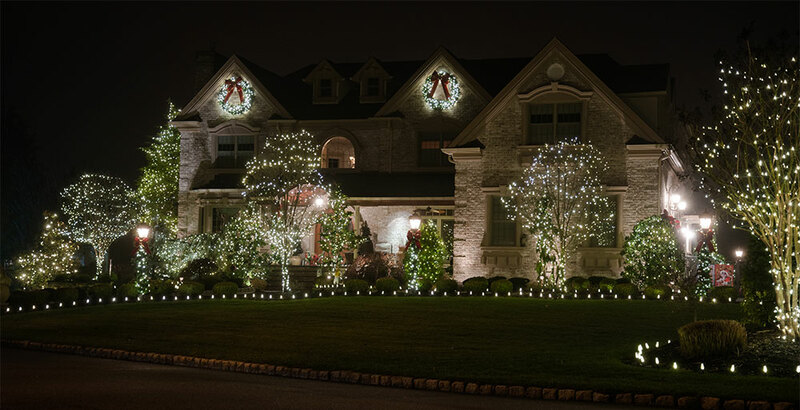 A one-time, permanent installation, you can illuminate every occasion, event or holiday that is special to you 365 days a year.